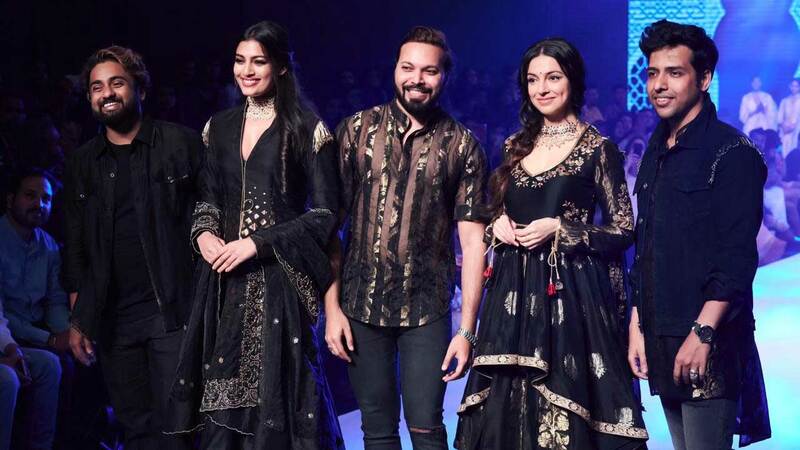 Divya Khosla Kumar wore a black traditional suit where she looked effortlessly gorgeous in a subtle makeup with a winked eyeliner. The filmmaker accessorised her look with a heavy choker and summed it up with a side braid with few hair strands left out. Sharing the moment Divya Khosla Kumar took to her official Twitter handle and shared, “Showstopper Diaries at the #bombaytimesfashionweek for @RarstudioO beautiful Sangemarmar Collection @bombaytimes @TimesFashionWk #divyakhoslakumar #blacklehenga #handloom #chanderihandloom”.